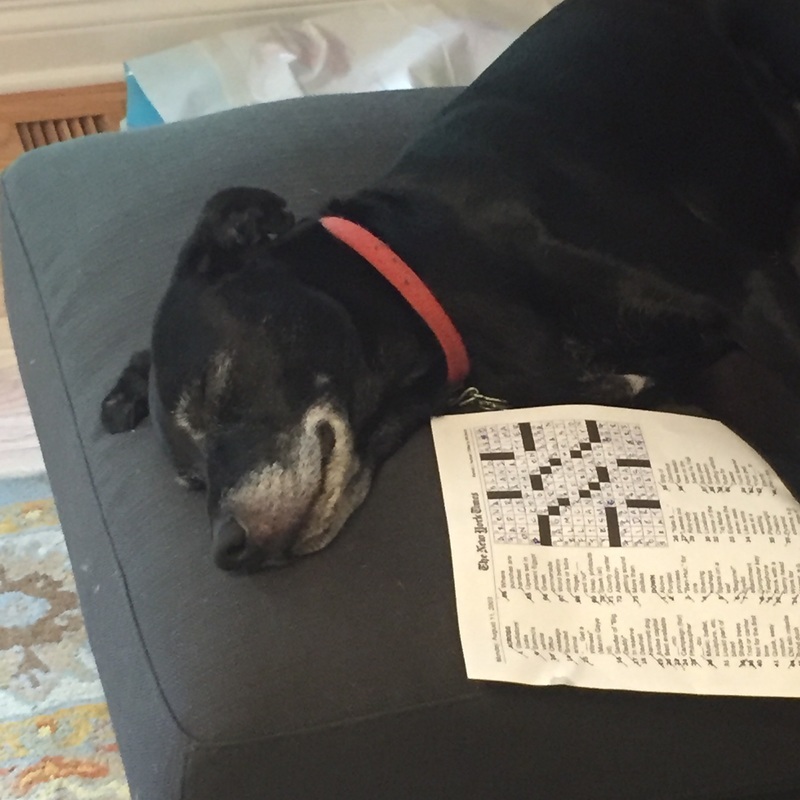 I've been a crossword junkie since I was about 12 or 13. More recently, I wanted to try my hand at creating some of my own. All puzzles are available in PDF format and will open in a new tab. ---These first three puzzles are all a bit of a mess. (My style seems to be to dive in head first to new hobbies and figure out the details later.) For example, I had yet to learn that two-letter answers are not permissible in the standard American tradition. Plus I was using a free mobile app to create these puzzles, which was cumbersome to say the least. But I did learn a lot about how to best phrase my clues/answers and had lots of great feedback from my roommates, family members, and other assorted friends and acquaintances who tried them out. The fact is that these are virtually unsolvable in their entirety due to those flaws, though I think the majority of my solvers just thought I was really clever. Sorry! At some point during this time I also watched the great crossword documentary Wordplay (2006), which taught me a lot, especially the scene where Merl Reagle goes over how to construct a puzzle from scratch. Check it out. ---This puzzle marks the point at which I started using Crossword Editor for OS X by Jim Graham. This is also when I started to make use of themes. I highly recommend this program to anyone who wants to start constructing their own puzzles. It only costs $15 and is really intuitive in terms of its functions: grid construction, solution fill-out, and clue entry. Along with Across Lite, I have been able to easily produce the PDFs that are archived here. --Serendipity struck when my old friend Jake connected me to his friend Jeff Chen via email on the very same day that I finished my seventh puzzle. Jeff gave me some great feedback, most importantly to inform me that the single, non-crossed tiles (what I like to call "danglers") in most of my puzzles was a big no-no. Lesson learned. As I currently wrap up my eighth puzzle, I feel like I'm pretty much on track with my original goal: make ten self-published puzzles before even considering submitting to Mr. Will Shortz of the New York Times. --After a hiatus of almost five months, I'm back at creating. This one has me paying much more attention to the quality of my fill. Specifically, I really tried to avoid using too many abbreviations, especially the sleazy, made-up kind that I put into previous puzzles. A blatant example of this comes from #8, "Tiki Time": 1A. One baseball stat...hopefully leading to another: Abbrev. = RBIW. Bush league. I'm still working on getting my theme/wordplay to the next level by moving away from puns and portmanteaus. But I'm not quite ready for a full departure. This is also the first time I'm offering a puzzle in both .pdf and .puz (Across Lite) formats. Feel free to download the software for the latter using the link if you would prefer to do one of my puzzles on your computer instead of as a print-out. --Well, here it is, folks: My final test-run puzzle. This one is definitely one of my best. It's a little quirky (and maybe even a bit devilish) in its theme, but I hope you enjoy the challenge.